Coming July 18, 2015. Have a hellishly good time on the Devil’s Slide Ride! 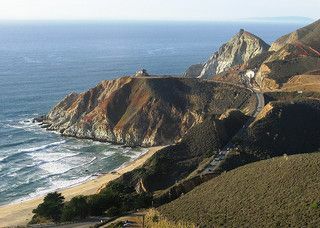 This ride/run/hike event is located along a particularly scenic portion of the California coast just south of San Francisco and beneﬁts Parca, a local non-proﬁt which has been serving people with developmental disabilities and their families through its programs. Road cyclists can choose from the century (103 miles, for only the most experienced/expert riders), the metric century (61 miles, for experienced/advanced riders), and the metric half-century (36-mile, for intermediate/advanced riders). Mountain bikers have a choice of either an intermediate- or advanced-level loop; while trail runners have either a 10k or half-marathon; and there’s even a route for hikers and dog owners. Come support a worthy cause and enjoy the coastal views!